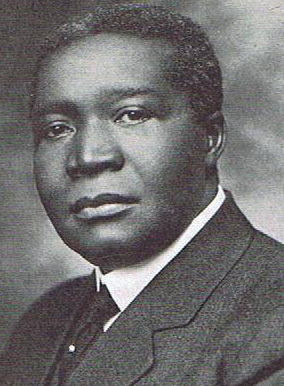 Robert Russa Moton was born on the William Vaughan Plantation in 1867 in Prince Edward County, Virginia. Moton attended the local freedman’s school and eventually went on to college at the Hampton Institute (now called Hampton University). At Hampton Institute Moton distinguished himself academically and after graduation was appointed the school’s Commandant in charge of military discipline, a post he held for 25 years. Moton also became a Hampton fundraiser, traveling north to lecture on the school’s programs. In 1915, Moton left the Hampton Institute to accept a post as Tuskegee Institute in Alabama as its second president after the death of founder Booker T. Washington. Soon after his arrival Moton began to expand the Institute’s academic programs, adding a new department to educate future black school teachers. He also initiated the construction of what would become the Tuskegee Veterans Administration Hospital which would treat African American World War I veterans. Despite local white opposition, Moton insisted that the federal hospital be staffed by black doctors, nurses, and administrators. Tuskegee Institute and the Veterans Hospital escaped unharmed through the struggle. Robert R. Moton remained president of Tuskegee until he retired in 1935 due to failing health. Moton died at Tuskegee in 1940 and was buried at his alma mater, Hampton Institute. Robert Russa Moton, Finding a Way Out: An Autobiography (Garden City, N.Y: Doubleday, Page and Company, 1920); William Hardin Hughes and Frederick D. Patterson, Robert Russa Moton of Hampton and Tuskegee (Chapel Hill: University of North Carolina Press, 1956); Lerone Bennett, “Chronicles of Black Courage: Robert R. Moton Risked Life in Fight for Black Doctors at Tuskegee Veterans Hospital,” Ebony, July 2002; http://www.hamptonu.edu/.